Vivarail's new premises on Spectrum Business Park in Seaham, County Durham, UK. Photo: Vivarail. Train company Vivarail has announced it will spent up to £100,000 opening a production site in County Durham, UK. The facility is expected to become operational in January, creating 30 specialist engineering jobs in the process over the course of three years. Vivarail said it was attracted to open its production site – where it will will assemble components to power refurbished trains previously run on the London Underground – in the area because of the region’s highly-skilled labour pool. 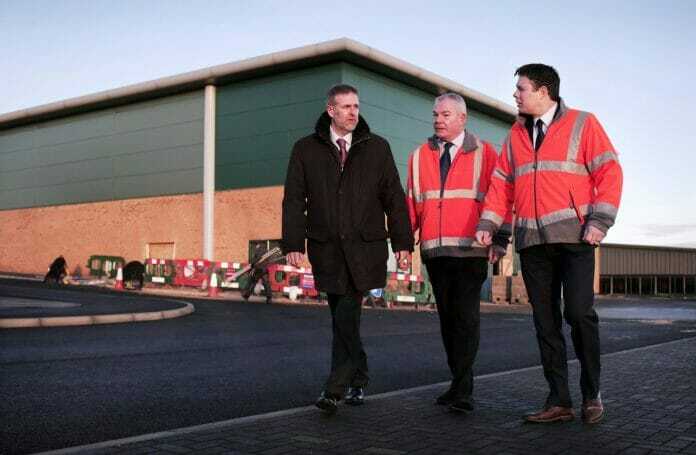 Chief executive Adrian Shooter said: “As Vivarail looked to expand and open a new site, the North East was a very attractive location for us, most notably because of its highly skilled pool of engineering and manufacturing workers. 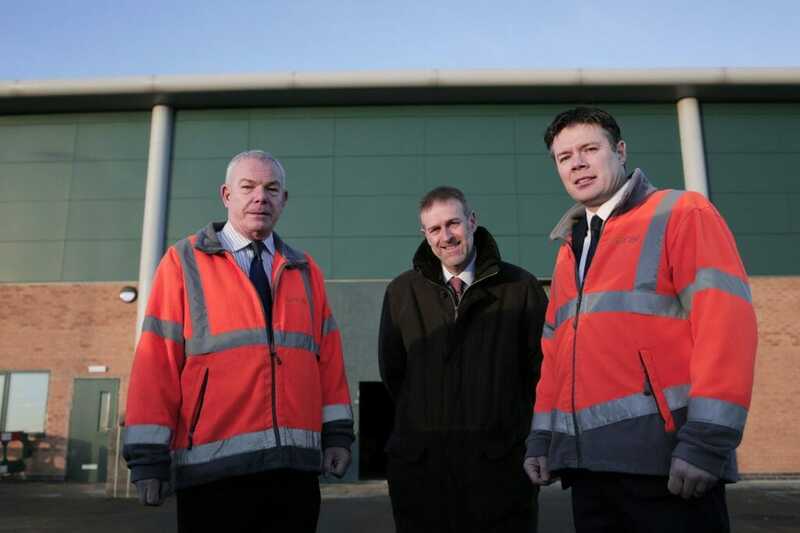 Rob Mason (left) and Steve Rowell of Vivarail with Business Durham’s Peter Rippingale at the firm’s new premises on Spectrum Business Park in Seaham, County Durham, UK. Photo: Vivarail. Vivarail is based at a large site in Long Marston, near Stratford upon Avon, where it stores its stock of 226 carriages and can refurbish and refit the trains to specific client requirements. Its new 11,000 sq ft production facility in Seaham will be used to assemble the powerpacks and wiring looms needed to run the trains. Three different types of powerpack will be assembled at Vivarail’s new plant, including a pioneering battery-only system currently being developed with £640,000 grant funding awarded earlier this year by Innovate UK, the UK’s innovation agency. Once operational and subject to the size of future orders, Vivarail’s Seaham site could expand to include the refurbishment of a number of other train parts, such as the bogies. About time. Also the Class 230’s should be operated on locks and rural branch lines in Southwest England and most parts of Wales to replace the Class 142’s and Class 143’s Pacers that GWR and ATW are hoping to get rid of them and to inherit the Class 230’s. London Northwestern Railway will be getting couple of these trains to operate on the Marston Vale Branch Line and also on the Coventry-Leamington Spa Line. Greater Anglia could of ordered few of these to operate on the Marks Tey-Sudbury branch and Ipswich-Felixstowe lines but instead the train operator has ordered the Class 755’s Bi-Mode units. London Overground might inherit 2 or 3 of them to operate on the West Ealing-Greenford Branch Line (if they do take over that branch line in 2019). local* not locks. Spotted a mistake. Currently working for Astom as a vehicle fitter/finisher and would like to become part of your team at Long Marston- Stratford. I have many qualifications as a coach builder and believe I can be a great asset to your company.